Stone necklace with natural cord. Handmade by Kirki's charms this piece is the minimalistic ambassador of the summer collection. 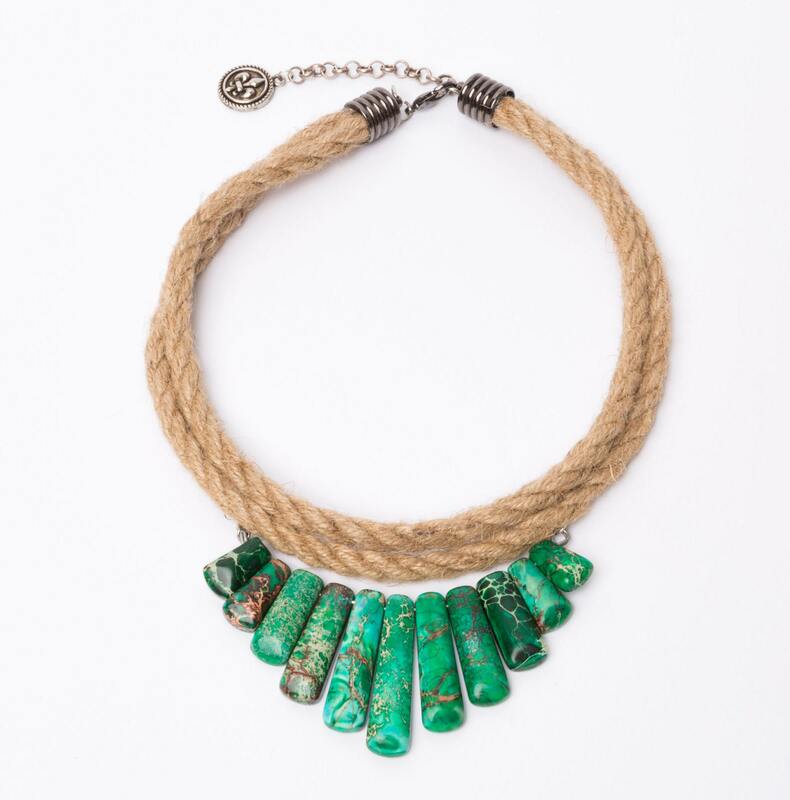 Minimal and classy this necklace is made from green stones and double rope. Summer piece absolutely easy to wear.